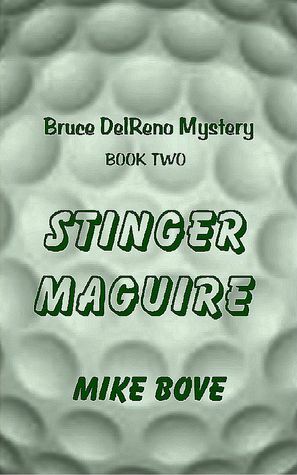 WIN an autographed print copy of STINGER MAGUIRE at Goodreads.com. I will be giving away three signed copies. Connect with other readers and authors at the #1 website for books. The GIVEAWAY contest starts March 26 and ends on April 18. You can check it out with hundreds of other offers. Get excited. Get free books. All you need to do is click a button to enter. There are no strings attached. Search by genre. Enter to win as many as you want. Goodreads secret algorithm selects the winners, not me or Bruce. You will be notified if you are a winner and the book will be mailed to you completely free of any charge. The purpose of the giveaways (hundreds of them are listed) is to get the word out about new books. Tell your friends about the giveaways and the new books. Winners are encouraged to write a review if they like the book, but are not required. Giveaway ends April 18, 2014. You can read Chapter One on Mike's Goodreads Author Page. The paperback of STINGER MAGUIRE is available now. Click HERE for details and discounts. -Local folks can pick up a signed copy at a discounted price at Coyote Trails Golf Course pro-shop after playing what many call "The best greens in Northern Arizona.". -E-book versions will be availabe soon at Amazon, Barnes and Noble, Smashwords, and iTunes.